loose-fitting top with extended shoulders forming cap sleeves and convertible collar. 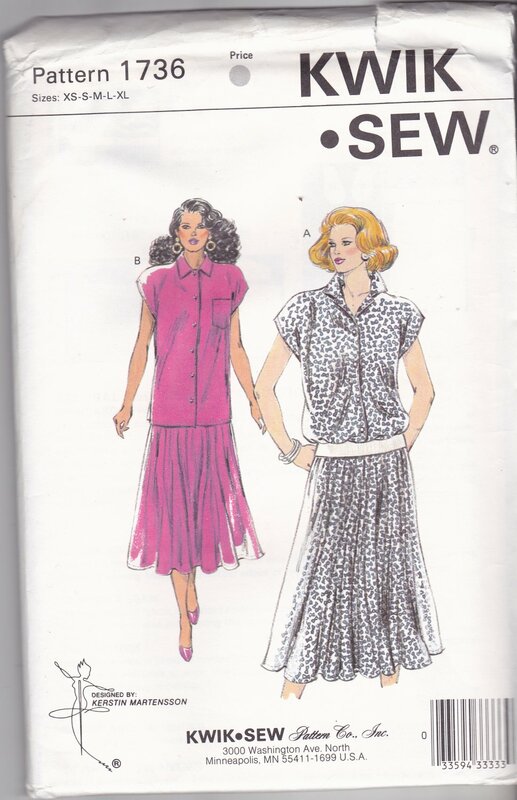 pull-on gathered skirt with side seam pockets. I bought this pattern secondhand. The envelope is damaged as shown, and the pattern is uncut, factory folded, and includes directions. Please send me any questions you may have, and thanks for looking.